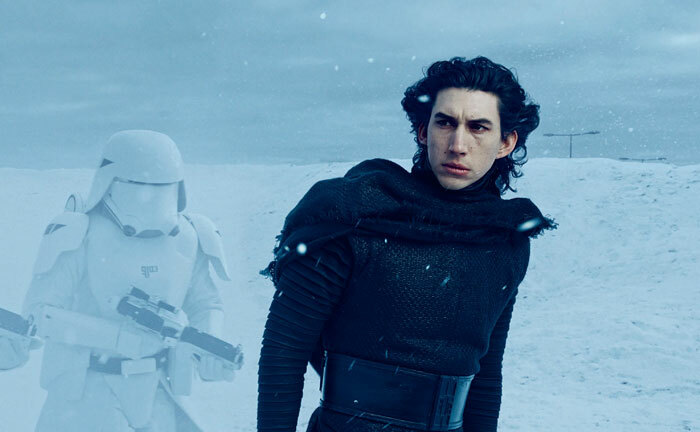 Kylo Ren is everyone’s fourth or fifth most favorite character from Star Wars Episode VII: The Force Awakens. And this cat is his doppelganger. 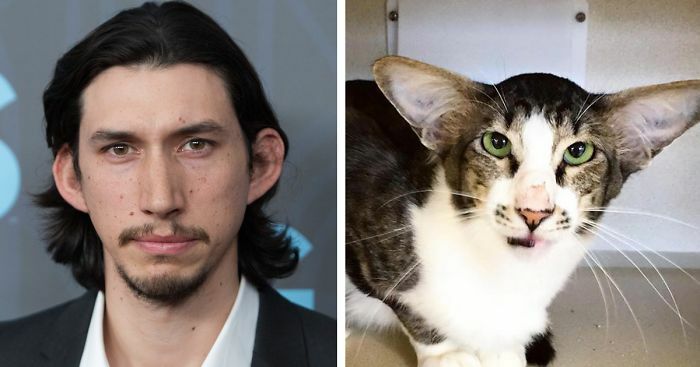 Well, the doppelganger of the actor Adam Driver, who plays Kylo Ren – the cat is no Sith Lord! The kitty has the ears, the mouth and a general facial structure that could be interpreted as Driver-like. And the best part? The cat was adopted after his story went viral! This kitty from not a long time ago, and galaxy not far away is actually an Oriental Shorthair tabby named Corey. 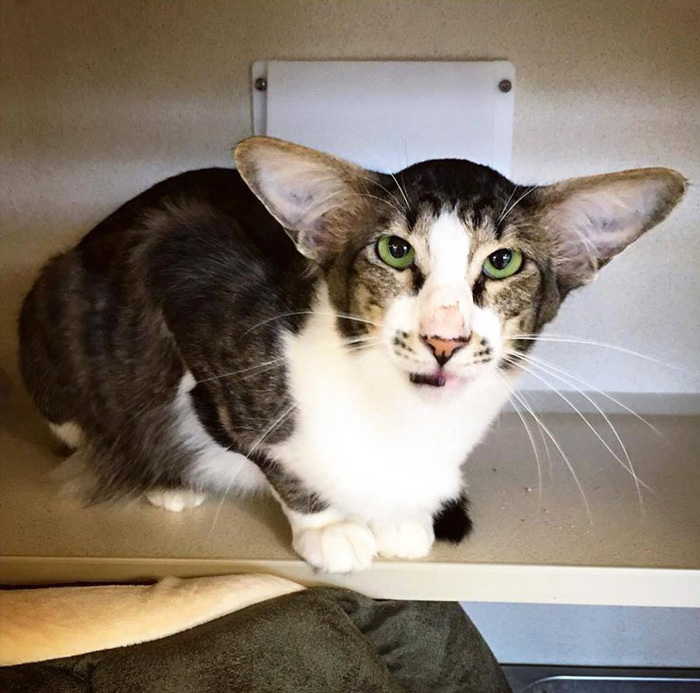 He’s 2 and ½ years old, and the Monmouth County SPCA describes him as having “the softest fur you’ll ever feel.” Corey has already been adopted, so you’ll have to look for your own Star Wars cat. Possibly a fat ginger that looks like BB-8. Pandas don't get any lazier than this. It's an oriental cat. They all have that face shape. But my friend has a cat that I swear looks like Chris Pratt. 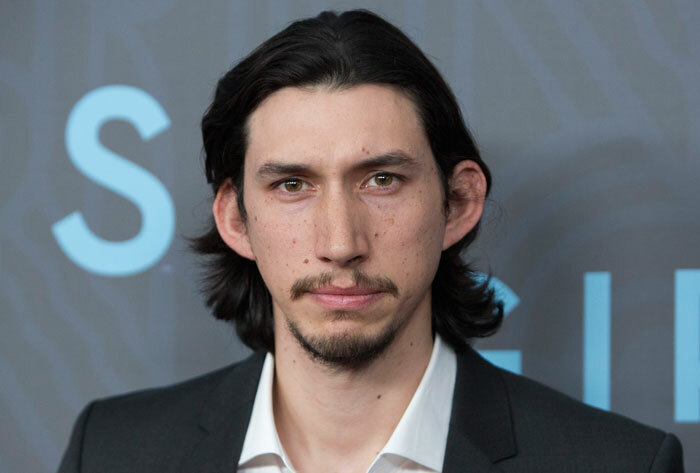 Wait, so Adam Driver is oriental? Mind blown! Fourth or fifth? Heheh. How about first :) Kylo Ren, the Anakin we all needed! Such a cute cat! 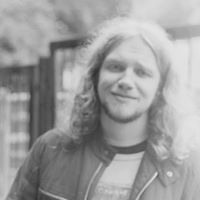 It really looks like him! This is hilarious!